Documenting my journey of learning through amateur radio, electronics, and more. The time has come to pimp my nerdy ride! 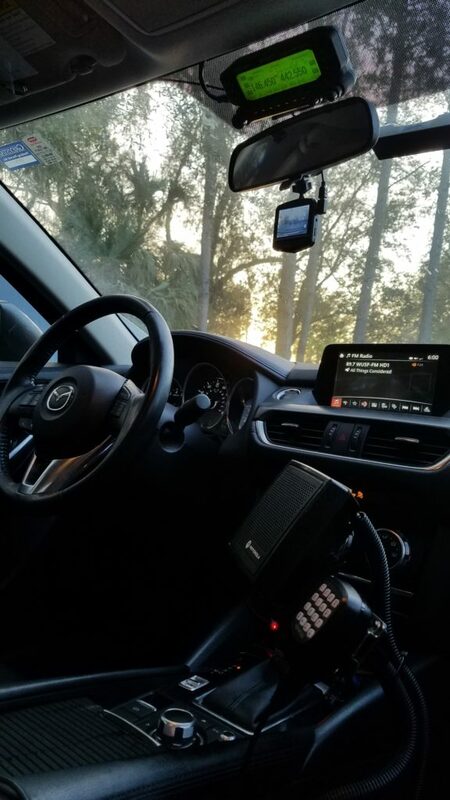 I’ve wanted to install a mobile in my 2016 Mazda6 for a while, but I was held back by having other expensive radio goodies higher up on my list of priorities. Now that I’m taking the plunge, I settled on the Kenwood TM-D710G. It’s regarded as a solid performer for both VHF/UHF voice and APRS. 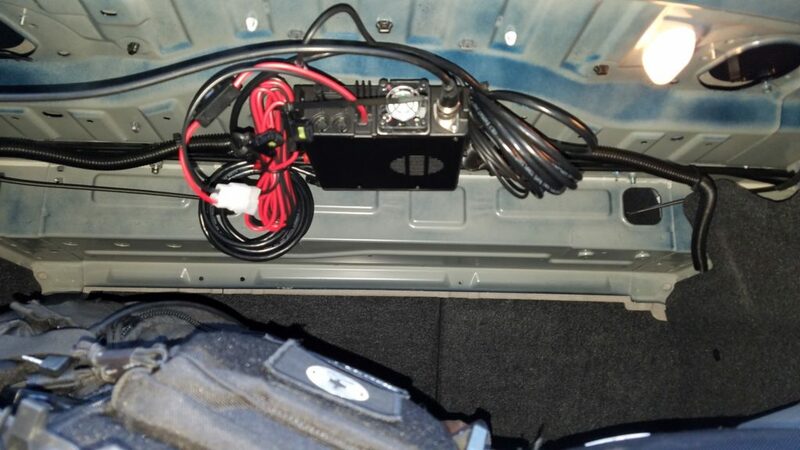 I installed the body of the radio in the trunk of the car, with the head unit mounted above my rear-view mirror. This location helps make it less obvious from the outside, and thus hopefully deters theft a bit. I soldered an inline fuse holder to the end of both the positive and negative power wires that would run off the battery, then used heat-shrink tubing to seal the connection. I left the other end of these wires unterminated, because they will need to be fished through the firewall. 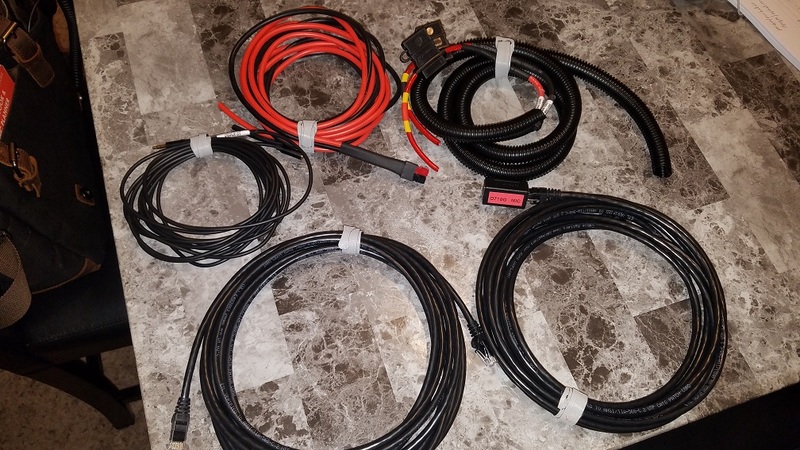 Once through the firewall, they will be terminated with PowerPole connectors. On the second, longer pair of power wires, I terminated one end with PowerPole connectors. 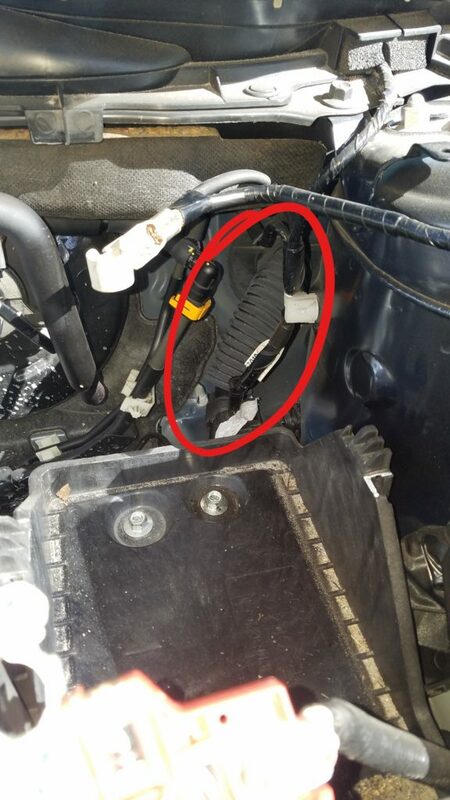 This end will connect to the battery cables near the under-dash fuse box. The reason for a PowerPole junction here is that it allows me to easily add either a PowerPole terminal block for more gear, or integrate an auto-power-off switch at a later date. The speaker cable is labeled “EXT SPEAKER A” in case I’d ever like to take advantage of the radio’s dual-speaker capability. The most difficult part of the installation was getting the DC wires through the firewall. 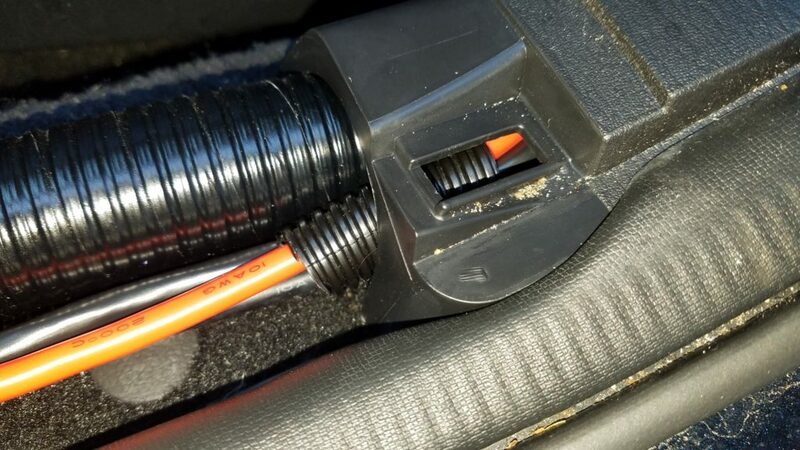 My car has a single large, thick rubber grommet for the wiring harness near the steering column. 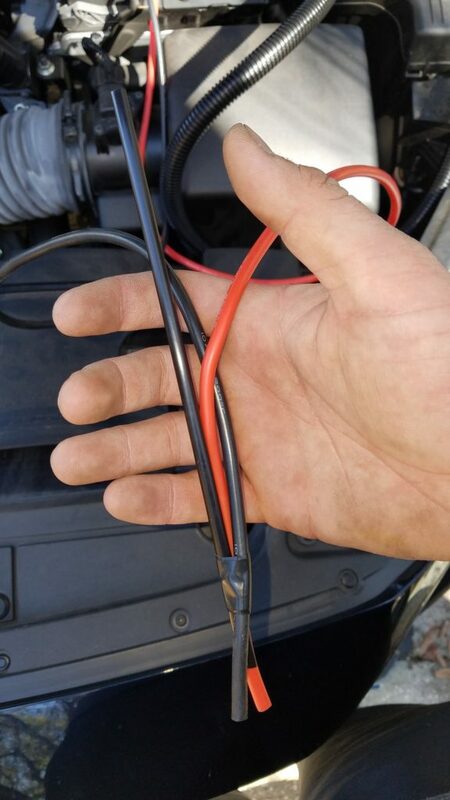 To access this on the engine side, you have to remove the battery. I wound up making a small slit in the rubber tube that leads up to the grommet from the engine side. This allowed me to slide my wires in so that they would come out of the main opening on the other side. I wound up taping them to a fast food straw to push them through. It was stiff enough to get them through, but flexible enough to work well in that tight space. 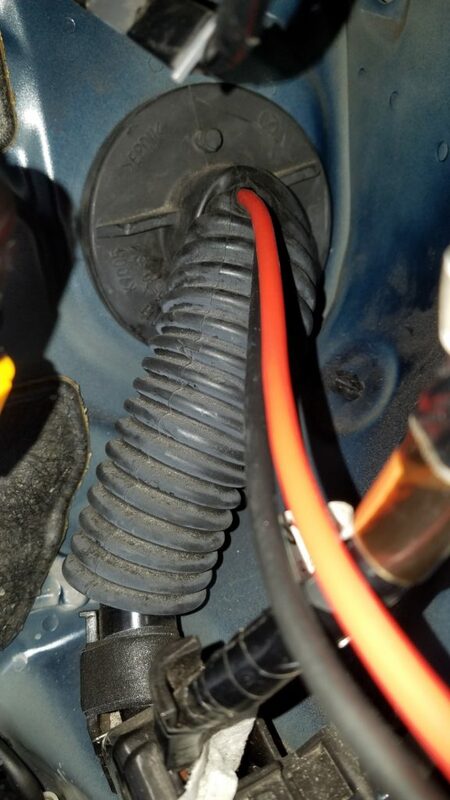 Once through, I routed the wires out of the way of anything in the engine compartment, and covered them with a plastic wire loom to prevent abrasion (and thus, short circuit/fire!) I also used this protective loom anywhere the power cables would be rubbed against, such as under trim pieces. The Mazda6 trim pieces are fairly easy to remove. Most of my wiring was along the bottom of my doors, which was as simple as gently pulling off the covers, then guiding the wires along. They snap back into place when you’re done. 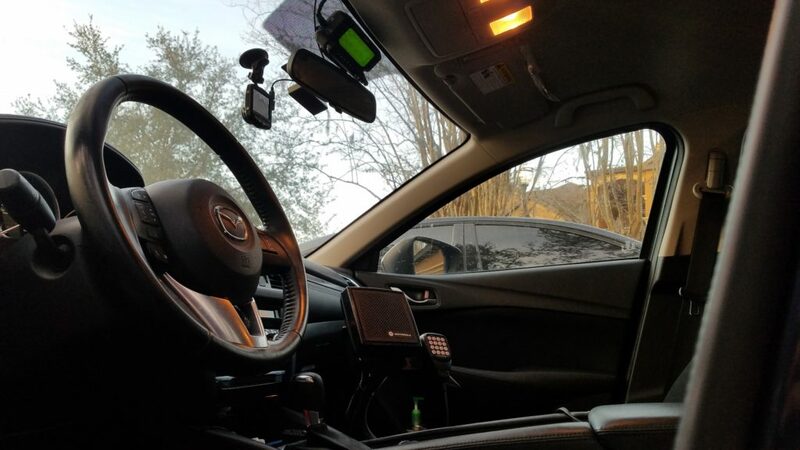 For my installation, I placed the head unit above my rear-view mirror. 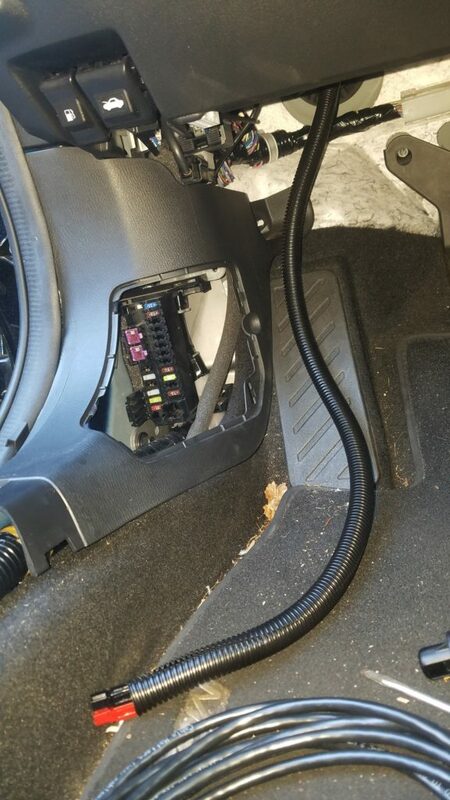 This meant running an Ethernet cable under the headliner from the center to the left post, down that post, under the weather strip, and down to the fuse panel area before joining the power cables to go under the trim. 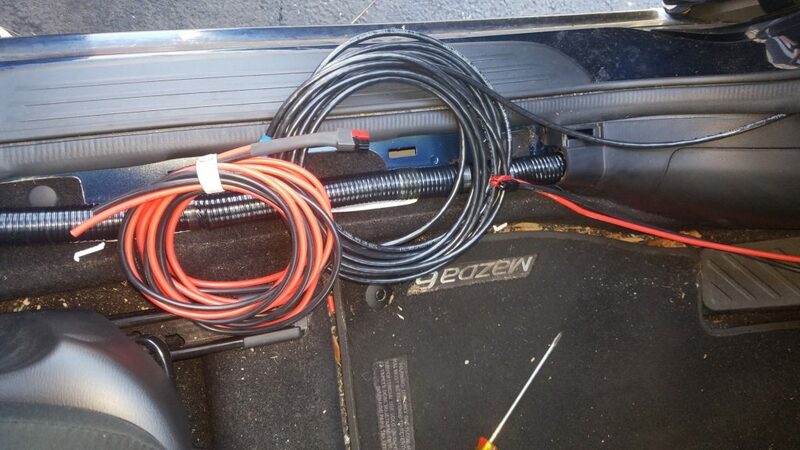 The driver’s side of the car carried power and the head unit cable. 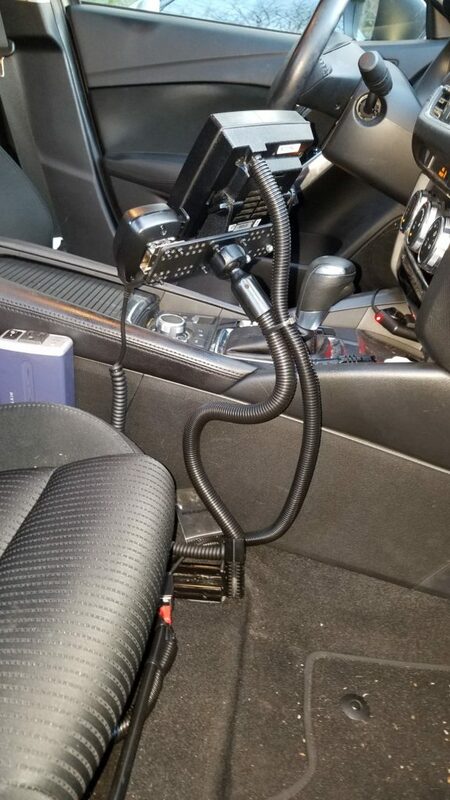 On the passenger side, I ran an Ethernet cable for the microphone and a headphone extension cable for the external speaker. The speaker and mic clip were attached to a seat-bolt mount. The main body of the radio was mounted in the trunk. To install it, I identified an unused hole in the sheet metal between the trunk and rear deck. I gently removed the center brake light from the rear deck and inserted a bolt through the hole from the top. I then used a wingnut and a small dab of blue LocTite to attach the radio’s mounting bracket to this bolt. 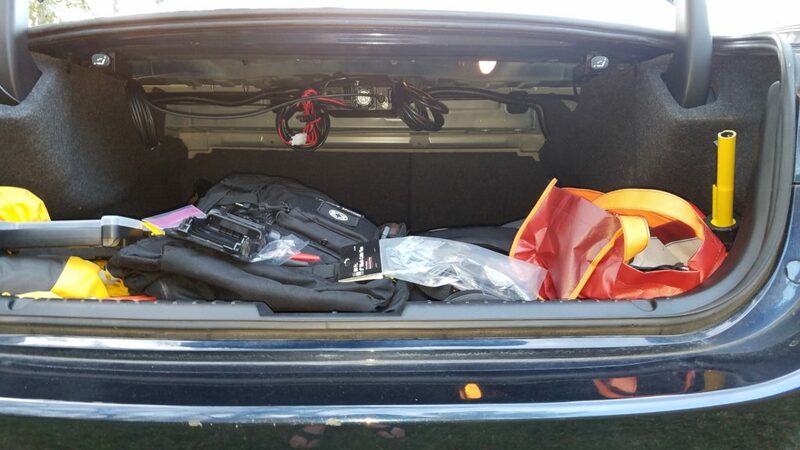 The end result is a radio body that has airflow around it and isn’t in the way of the trunk contents. The finished installation looks very clean and works very well. Since the external speaker fires directly at me, I can keep it at a lower volume while still following the chatter. The location of the head unit means I can quickly glance at it while keeping the road in my peripheral vision. Thanks for reading, and if you have any questions about the installation, don’t hesitate to give me a shout via email or Twitter.